He added that he would meet Rashtriya Swayamsevak Sangh (RSS) chief Mohan Bhagwat to discuss the issue with him. NAGPUR: Art of Living founder Sri Sri Ravi Shankar, who has offered to mediate in the Ayodhya dispute, today said there was a ray of hope in resolving the Ram temple issue. "Asha ki kiran dikh rahi hai. Bahut achha mahol banta ja raha hai (There is a ray of hope. A positive atmosphere is in the making)," he told reporters in response to a query after his arrival at the airport here this evening. Asked whether he would meet Bhagwat over the Ayodhya issue, Ravi Shankar said, "I will meet and discuss the issue of Ram mandir with him." 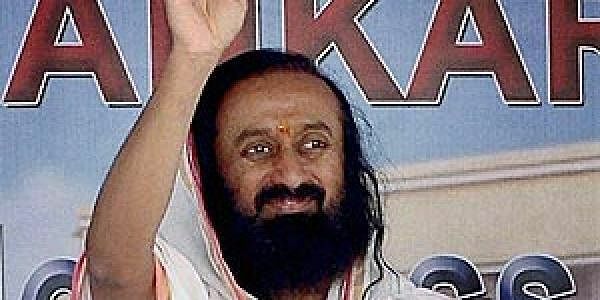 The spiritual leader is in the city as part of a threeday 'Anta Ranga' programme organised by the Art of Living. A couple of days back, he had met various people and claimed to have received "very good and positive signs" from both Hindus and Muslims, even though the stakeholders in the dispute were less hopeful. Uttar Pradesh Chief Minister Yogi Adityanath also did not sound very positive on the outcome of Ravi Shankar's efforts. Adityanath, who met Ravi Shankar two days back, had said that everyone knew where the talks would lead, especially when the Supreme Court was going to hear the matter from December 5 on a day-to-day basis. The All India Muslim Personal Law Board (AIMPLB) and the Vishwa Hindu Parishad (VHP) have also voiced reservations about Ravi Shankar's role as a mediator in the protracted dispute.